Have I gone crazy as I just told you all how to mix in stereo and create stereo where there was none? No not at all. If you read the article on creating stereo I give several warnings about mush and mono compatibility. Reality is that not everyone is going to hear your mix in perfectly positioned audiophile stereo. Some untermensch will listen on club PAs (that are commonly mono), some will listen on one of those Bluetooth speakers that collapse everything into one plastic tub, some will even insult your mix with one of those 5.1 atrocities that processes your mix into earthquake, tizz and nothing between. When signals are combined in any way but what you hear on your unique system, results will be different. I should use the term unexpected but that is not technically true as if you happened to know the specifications of every listening device and environment, Sheldon could calculate it all out for you. But of course assuming that were possible any fix you made for one situation would cause issues on every other. So what to do? Statistics uses a sample of the whole population to represent the average. We do that in mixing by taking our mix and playing on several speakers in several different situations. I have my main monitors, I also have a set of big floor-standers that flatter music (but you couldn’t find a 1kHz tone on them with a microscope), I will also listen in my car whilst driving to and from work, and even in buds that were free with some phone or other so wouldn’t understand the concept of quality. If my mix works on all of those then I have done ok. You may have noticed that pro studios have some little speakers on the console and maybe even just the one either in the middle or off to one side. Traditionally these were Auratone 5″ single cone speakers. They got called Horrotones as compared to the Tannoy Big Reds they were less of everything. 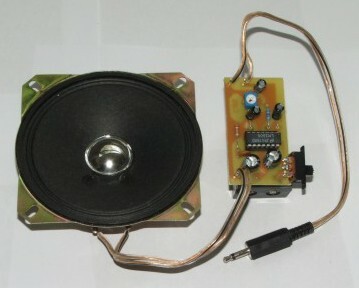 And that is exactly why they were so important as they squeezed a mix into a little single-point speaker. The first studio I went into checked mixes on a speaker that would have less going for it then the ones in your laptop – this was for TV so it had to work on a 2″ paper cone in a plastic cage. But we can do better. Lowest common denominator is a useful thing in math as it provides a reference point that will be basically true for the whole universe (we can’t go “beyond” this time as the rules may be different and our constant may no longer be constant – sorry alien dudes but my rock may not roll well with you – blame God and don’t invade). 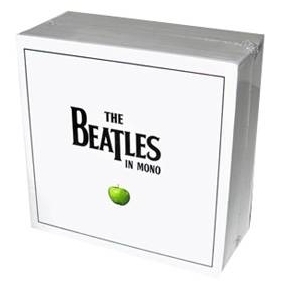 The most common denominator in musical terms is mono. Single voice. One note is the basis of every piece of music ever written. One sound is the start of everything. Now I’m not saying to maximize for only one note or sound but to reduce your whole mix to one speaker! The horror!!! First rookie mistake is to compare stereo sound to mono sound and decide it is too ugly to listen to. Second rookie mistake is to hit a mono button on the console and hear the same sound from both speakers. Use a Mixer and insert it second last in your chain (Brickwall Limiter is always last). I use Reason so this sort of thing is a doddle but similar should be doable in almost any situation. Set your mixer up so that initially you have Left Channel in Input 1 and Right Channel in Input 2. Now pan those two Inputs out so you have your stereo image. Digression (but necessary): you may notice that overall level changes as you pan those left & right out. If so, your mixer has a Pan Law that makes sounds at the extremes louder (generally +3db) than at center. There are reasons for this which we won’t go into. What you will notice in the image above is that I have taken 3db off the Knobs of the Left and Right signals to prevent my whole mix from running hot (tempting as it may be). Making single-speaker Mono from your existing stereo monitors is now simple: Pan the Left signal all the way to the Right (or vica verca). Also in this situation notice that I have dropped the Main Output Level to prevent the volume from rising which would sound more cool but change the actual sound of the mix (and probably pin the Limiter too). You now have a single-speaker mono rig to check your mix to see that nothing goes AWOL. I’m not done with you yet. If you really want to hang with the hard-core (and I don’t think you’d say that if you met many mix engineers – cave dwellers would seem more appropriate) then you will make at least your first mix of every track in your new mono rig. I know you don’t want to (even I don’t want to) but I can tell you that if your mix sounds good in single-point mono then it will expand into spacious glossiness in stereo and the instruments will all sit better. Once you have a bit of practice you can even do your Pans in the mono mix and they will require little to no adjustment in stereo! This discipline will probably save you at least half of the time you wasted on trying to get that tricky instrument to play nice in stereo.